The film Frenzy was Alfred Hitchcock’s second to last film before his death. The film is known to many as his most violent and gruesome film of his career. This paper focuses on the connections from childhood to adulthood that lead to his personality and love for the suspense-thriller. Specially, this paper gives insight into the psychological mind of Alfred Hitchcock and how that lead to Frenzy and many of his other films. There are shared characteristics that his films have in common, overpowering mother, violence towards women, and a fear of police that are exhibited in his films, my paper answers why that is. Frenzy exemplifies some of the harsher elements in Hitchcock and during its release in 1972 was highly regarded as Hitchcock’s most violent piece. This paper is inside look into the mind of the creator and helps to bring insight into the motives and reoccurring themes that are present in Frenzy and other films. The paper will argue that due to Alfred Hitchcock’s troubled child, the “Master of Suspense” was able to use it to his advantage and become one of the world’s most respected and accomplished directors of all time. This entry was posted in Student Projects on May 2, 2014 by Richard Blaney. 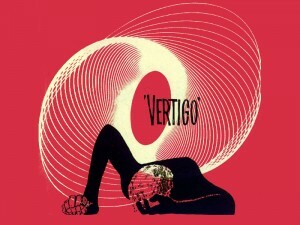 Victor Burgin and his art definitely made its way into Hitchcock’s films, most popularly into his most praised film, Vertigo. Burgin, who also was an England native, had a tremendous impact and influence on multiple Alfred Hitchcock films. Burgin also worked with Salvador Dali to help create the infamous dream sequence that appeared in the Hitchcock film Spellbound. This entry was posted in Hitchcock and Contemporary Art on April 25, 2014 by Richard Blaney. Hitchcock was able to do what many filmmakers fail to do over a course of a career in one film. 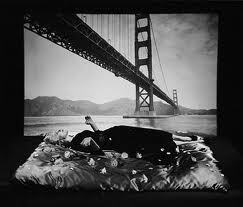 Create a complete film. Sounds simple, but for the lives of many films and filmmakers this idea is usually never seen. 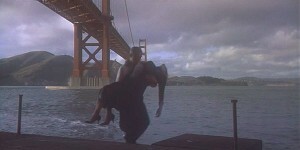 Vertigo, from start to finish is a full movie experience that ties in story to technique to his infamous “Hitchcockian” style to fortify his film into one of the greatest films of all time. But not the best. The New Yoker’s Richard Brody, gives insight,” there would be no “Vertigo” if not for “Kane.” Brody pleads that Citizen Kane, that recently held the title for greatest film of all time should have held it’s spot for number one. My opinion shifts gears from what should be the number one movie of all time into a different question. What defines the best movie of all time? 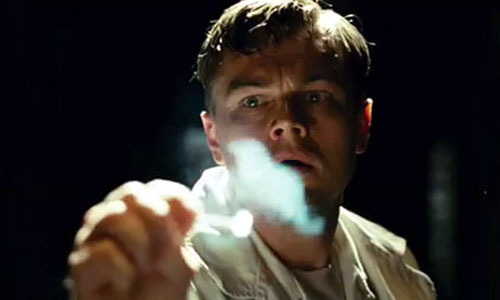 Surely, each film has different things in what it trying to accomplish, but to assert that one movie accomplishes more things or more important things is tough to say. For me, Vertigo is Hitchcock’s best film, it it what he imagined and he fulfilled it to the maximum. Debate will linger on whether it was or is the greatest film ever, but to me no film can hold that award, for no two films should be compared under the same standards. This entry was posted in Views on Vertigo on April 25, 2014 by Richard Blaney.